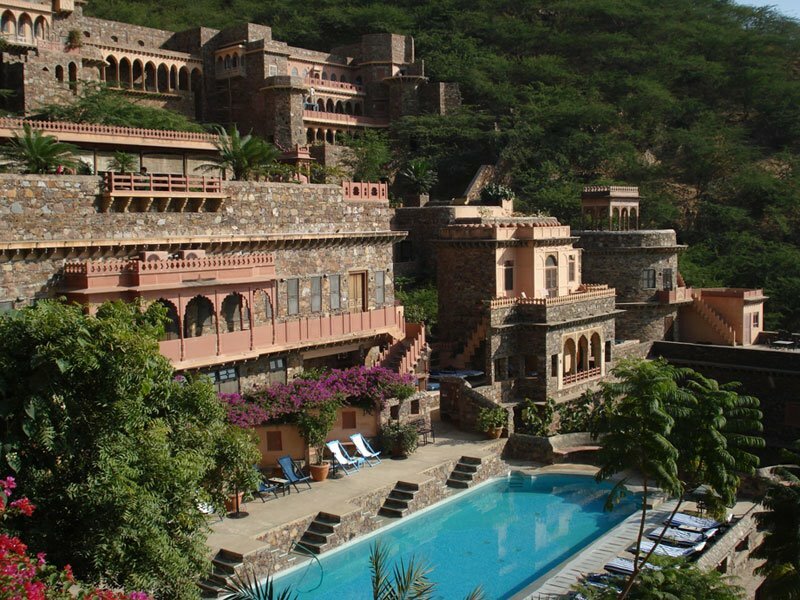 Neemrana Fort is located at a distance of 130 kms from Delhi and falls under the Alwar district of Rajasthan. 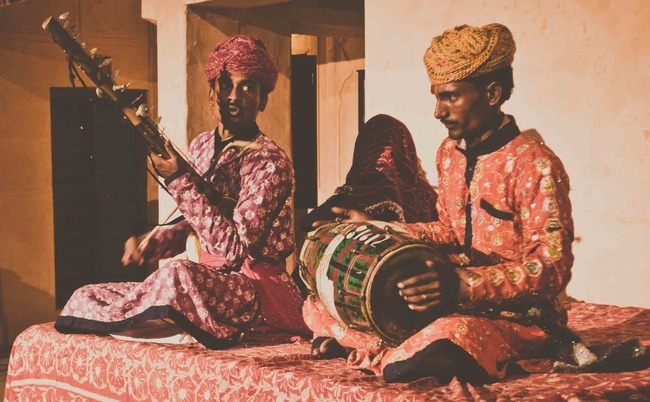 The place is mainly famous for its fort which was built in 1464 by the descendants of Prithviraj Chauhan III. It became the third capital of the descendants of Prithviraj Chauhan III, who was killed in battle by Mohammad Ghori in 1192 AD. 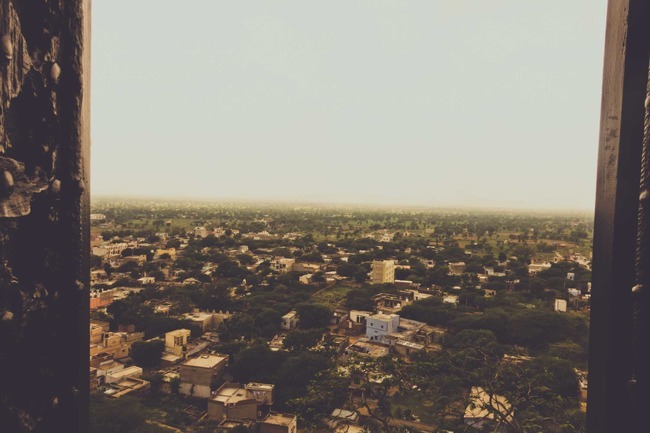 This picturesque site was chosen by Raja Rajdeo and Neemrana derived its name from a courageous local chieftain Nimola Meo, who when defeated by the Chauhans, pleaded that his name be given to his lost kingdom. 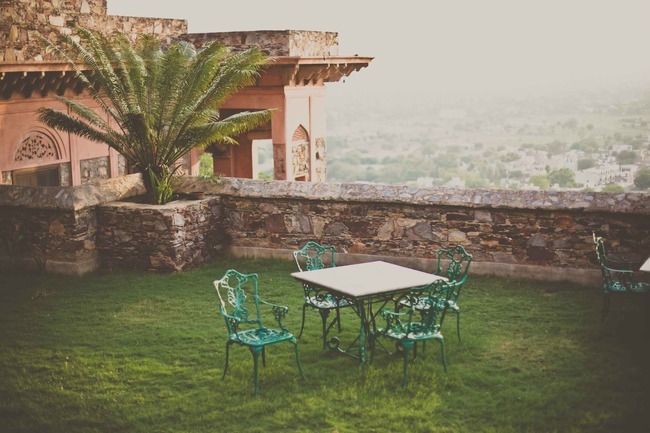 Settled amidst the rugged hills of Aravalli, Neemrana Fort palace basks in its glory even today. 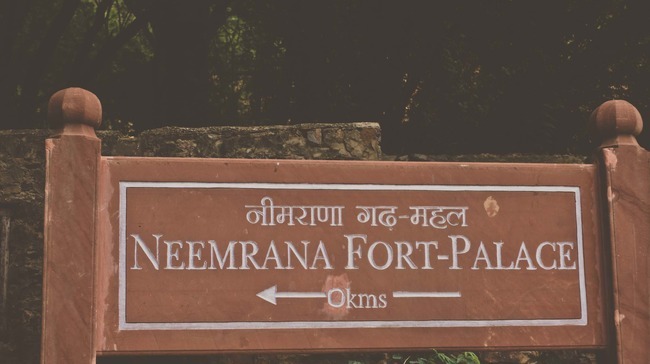 Neemrana Hotels group took over the whole fort and refurbished it into a 5 star hotel. Though it retained the palace royal touch to the maximum, giving the guests the feel of its prevailing noble hospitality. India’s first zip line was installed at Neemrana by a reputed International adventure sports company, Flying fox. Apparently, one out of the 5 ziplines at Neemrana is considered to be the longest across the globe. 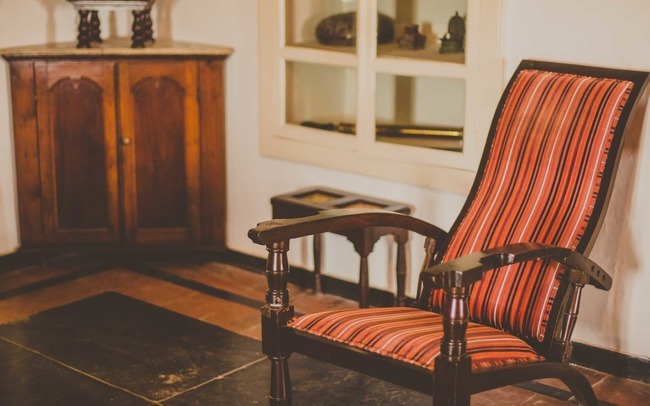 The fort is a delight for a traveller inquisitive to witness the bygone era. The first sight of the Fort will greet you with a big metal and wood gate-door. I could get a sense of unfading royal heritage when I spotted a vintage car standing right in front of the entrance gate. The traditional baggi followed me and I knew my rendezvous with this gorgeous beauty will be interesting. 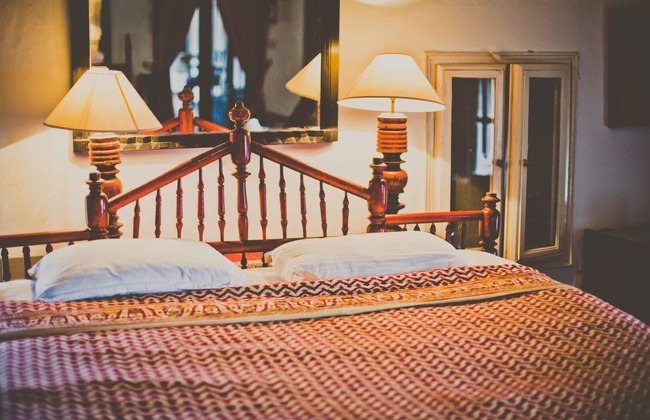 Each room and suite at the palace has its own aura and uniqueness to offer. As you reside in one of these classy rooms, the element of mystery and opulence emanates through its majestic walls, furnishings and décor. I could clearly feel the flashes of ‘bygone’ era. Apart from the splendid rooms, Neemrana has beautiful hanging gardens, pool and an Ayurvedic Spa to make your stay even more interesting. You can just enjoy being yourself without much planning and thinking. Take a stroll through the palace’s premises to absorb its little nuances, admire the art and architecture that’s exclusive and hard to find anywhere else, and simply live each moment that comes by. 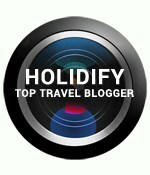 Reproducing Content & photographs from this website is subject to Author’s approval. Neemrana is so much on my mind. I think it’s great idea to turn an ancient fort into a luxury hotel. In this way one can ensure the maintenance of our heritage. I might plan a trip here this winter. Thanks for the lovely post!